JoJo’s Bizarre Adventure is Invading Your Home! Hey everyone, and welcome back to Why It Works. 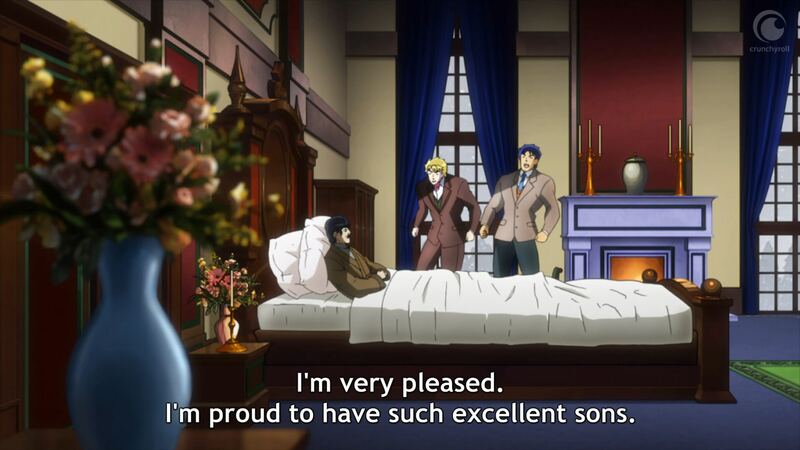 I’ve been greatly enjoying the latest season of JoJo’s Bizarre Adventure, and am appreciating how both Giorno specifically and Golden Wind’s mafia focus more generally are giving this arc a unique flavor within the JoJo canon. 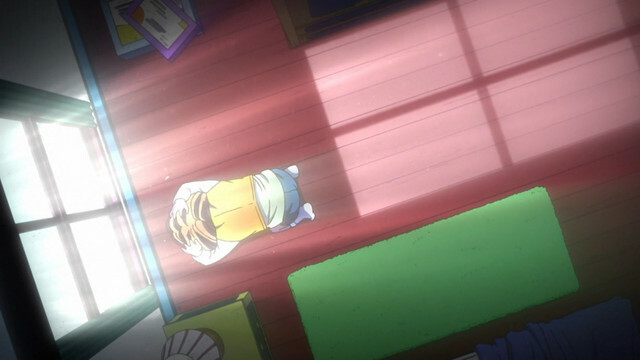 There’s a sense of purpose and forward momentum to this story that seems to merge the ambitious quest focus of Stardust Crusaders with the charming, character-focused appeal of Diamond is Unbreakable, resulting in a narrative that feels both true to JoJo‘s roots and entirely its own animal. 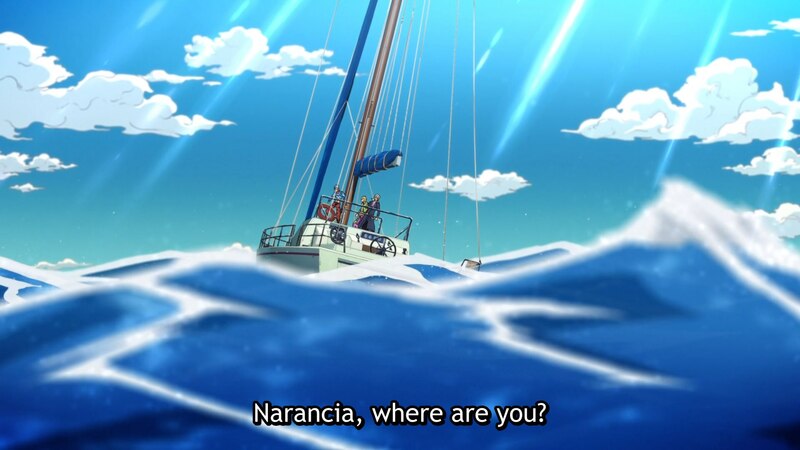 That said, the moment Buccarreti and his men stepped onto an isolated boat, I felt a familiar and welcome trill of JoJo-based recognition. 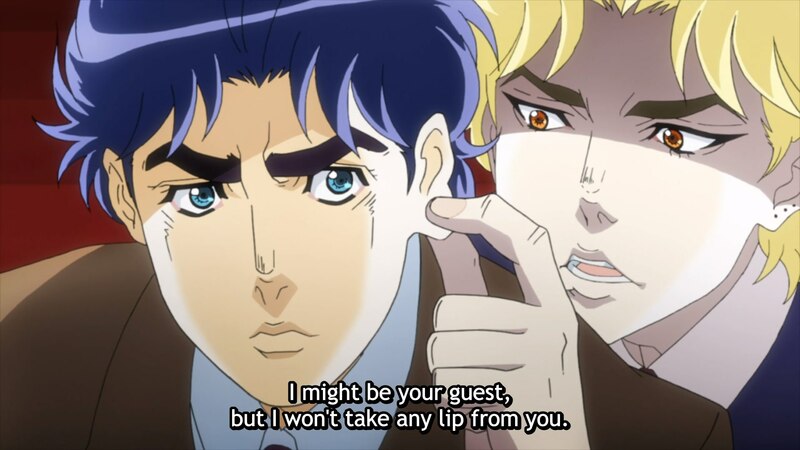 Trapped in an isolated, seemingly safe location while being tormented by unknown or unexpected attackers is JoJo’s bread and butter; the show has employed similar conflicts to great success all throughout its arcs. 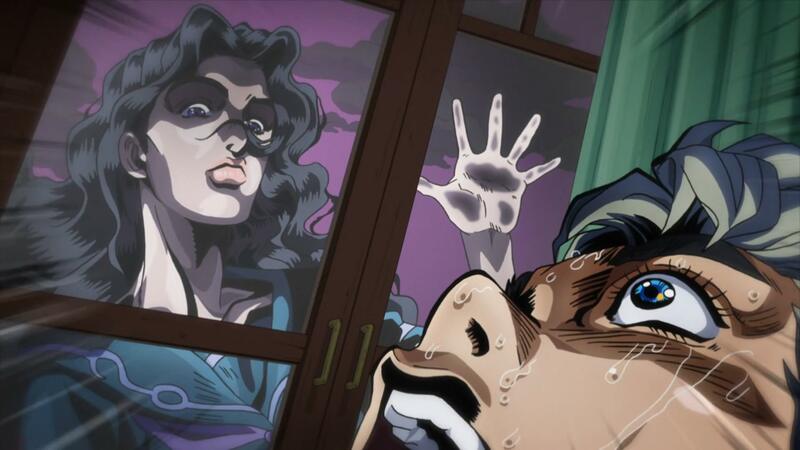 Today, I’d like to explore JoJo’s love affair with this specific subgenre; let’s discuss the art of the home invasion! Home invasion narratives are common in both action and horror stories, and don’t always necessarily focus on a literal home. The larger concept is basically “a place of assumed safety now being challenged by some menacing attacker,” a concept that’s inspired classics ranging from Assault on Precinct 13 to Friday the 13th. People naturally consider their homes both a place of safety and an extension of themselves, making them ripe targets for stories that want to challenge our feeling of security and constancy. 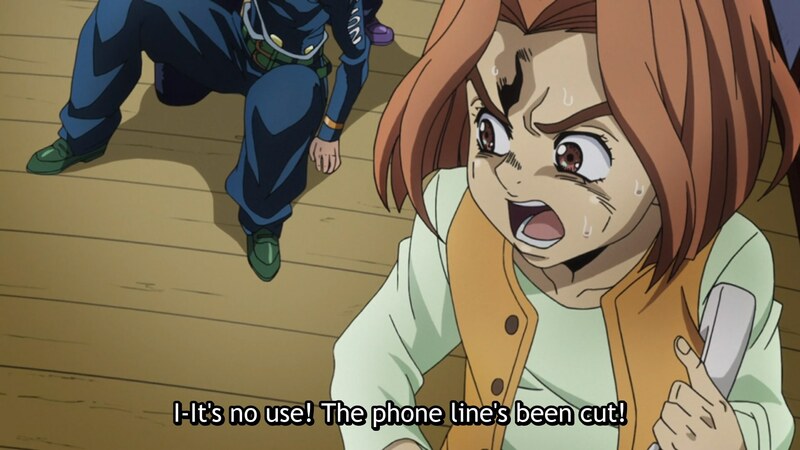 Taking away our presumption of safety is a classic trick for creating dramatic tension, and as an action narrative that’s also heavily inspired by horror films, it’s become a JoJo staple. JoJo’s arcs are a wild and inventive bunch, but you can pretty much always count on a home invasion or two. The show’s debt to this subgenre is clear even from its very beginning. 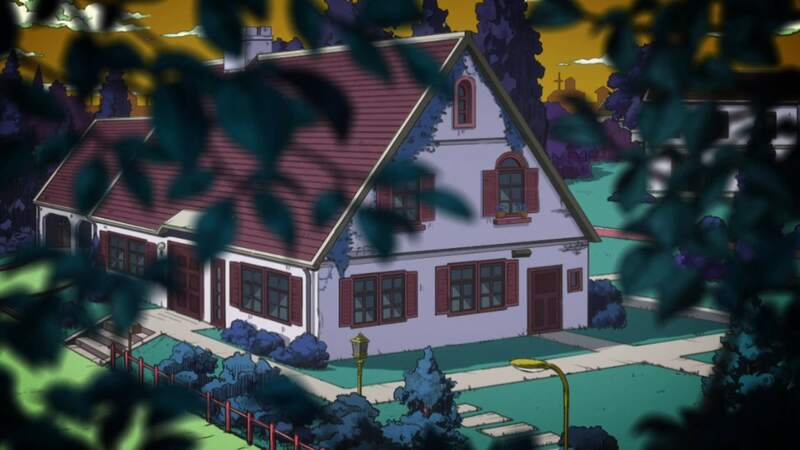 Though home invasions echoing specific horror films would become more common in Diamond is Unbreakable, JoJo’s very first conflict focuses on Jonathan Joestar’s home being invaded by the nefarious Dio. This arc plays into the classic fears of some intruder whose menace is visible only to you not just invading your home, but slowly poisoning the people you love against you, and ultimately replacing you in your own life. 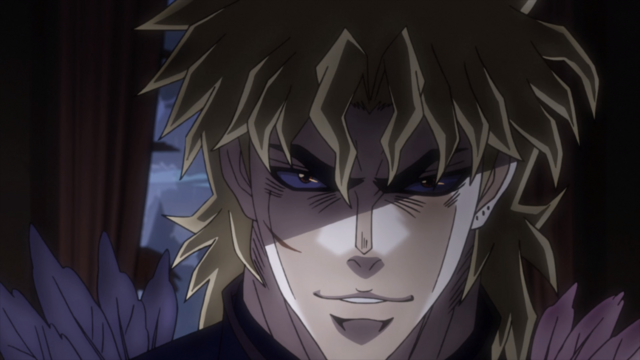 Dio’s menace isn’t a direct consequence of his physical strength; it’s a reflection of his gleeful violation, and his confidence that he will ultimately steal Jonathan’s very life. 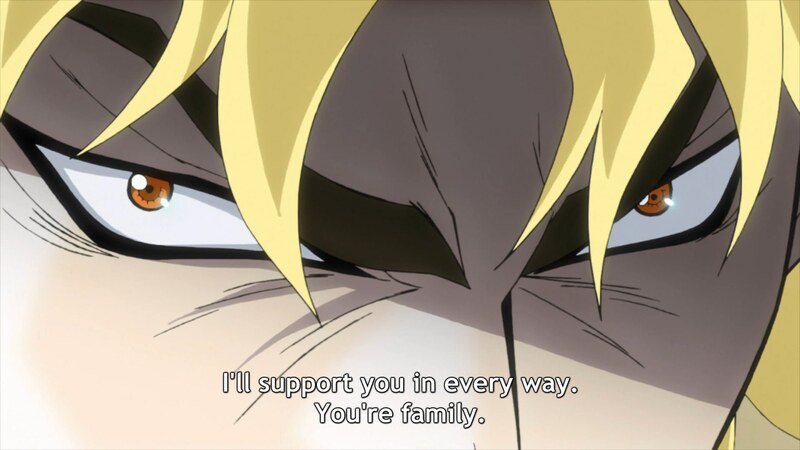 After a tense childhood full of underhanded personal attacks, Dio’s invasion ultimately culminates in him literally storming Jonathan’s home, and fighting for supremacy in a battle that, in spite of ending in victory for Jonathan, still leaves his home a scorched ruin. 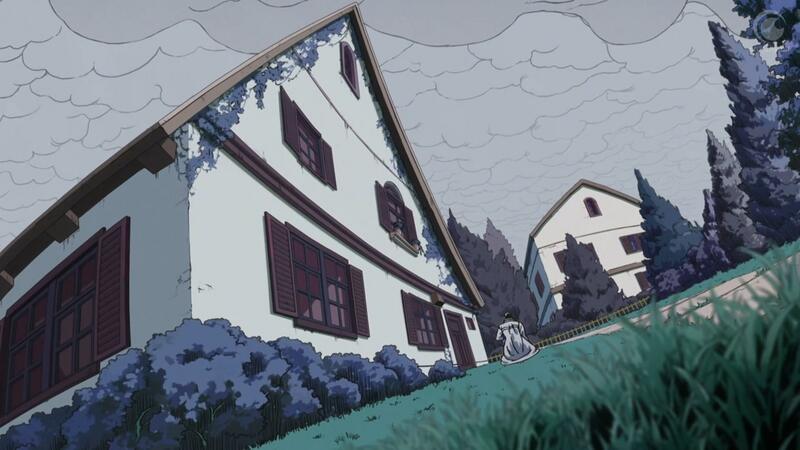 After JoJo’s next two arcs focus more on globe-trotting adventures, Diamond is Unbreakable’s consistent suburban setting offers the perfect venue for more stories playing on our fear of danger scratching at our door. With the invention of Stands, Hirohiko Araki is able to ever more directly undercut our presumption of safety. Angelo’s Stand being able to travel through water means locking doors and windows is no longer enough; every pipe and faucet is a potential vehicle for the danger, and a rainy day means you are literally, permanently surrounded by the enemy, with only a flimsy roof separating you from ruin. 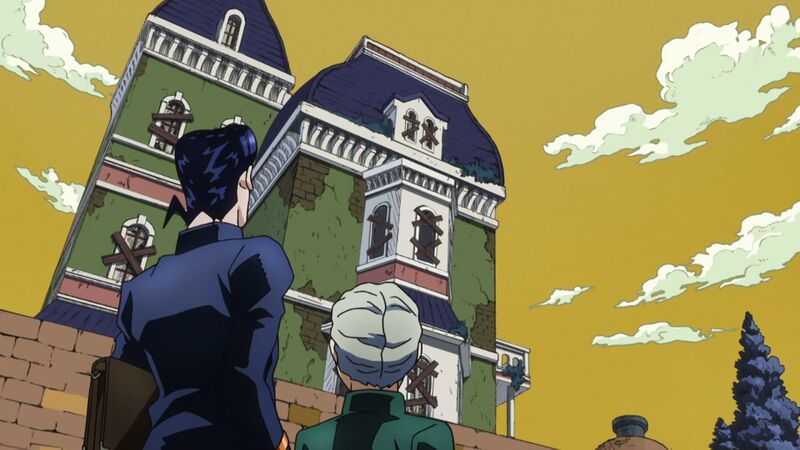 Presenting Josuke’s house as an imposing fish-eye monolith and emphasizing Angelo’s perpetual surveillance, Diamond is Unbreakable’s first arc feels like an intentional statement of purpose, Araki offering his most dedicated and well-executed home invasion yet. 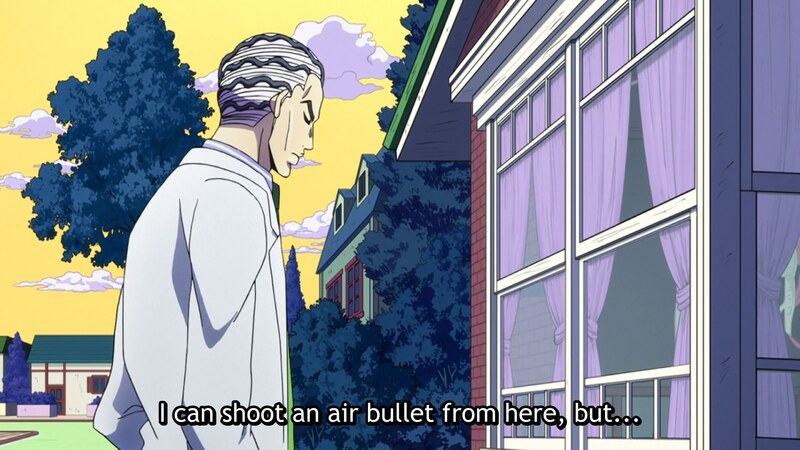 Of course, Diamond is Unbreakable takes place entirely within the suburbs of Morioh, and “quiet, idyllic suburbs” are basically the home invasion narrative’s natural habitat. Suburbs have a long history of hiding dark secrets beneath a veneer of civility, and their spiraling lines of houses and shuttered windows naturally imply the sense of being watched or followed. 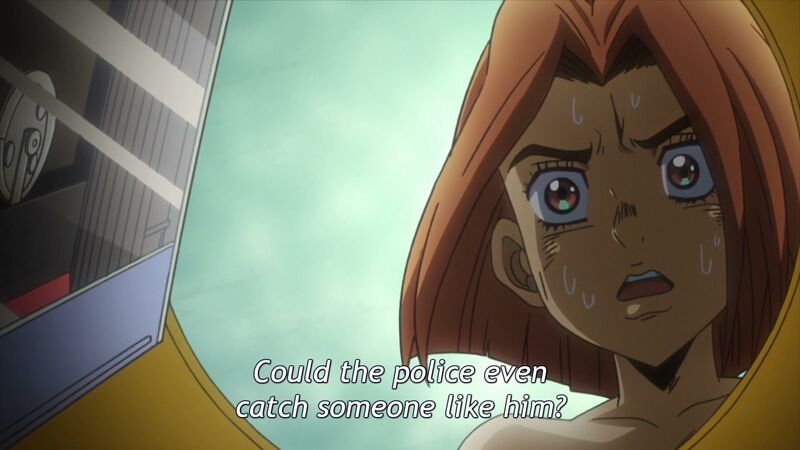 In light of this, Diamond is Unbreakable is utterly stuffed with home invasions, from the tragic backstory of Reimi Sugimoto to Yukako Yamagishi’s perhaps misguided efforts to earn Koichi’s love. Each of these stories present their own unique take on the home invasion, while the overarching “there’s a serial killer in Morioh” narrative acts as a sort of meta-invasion of Morioh in its entirety. 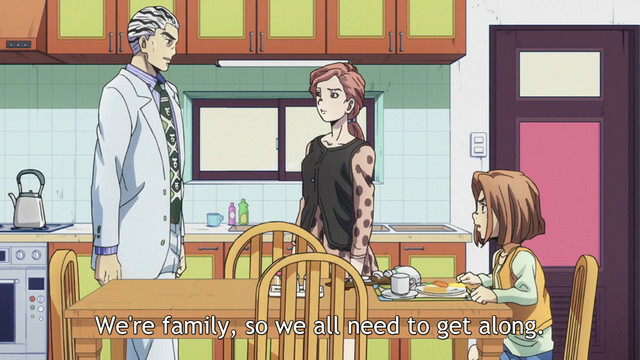 All of these nail-biting arcs culminate in JoJo’s most lengthy and gripping home invasion so far: Kira’s assault on the Kawajiri household. The idea of having your home invaded by some self-declared antagonist is one thing, but when that antagonist takes the form of your old father, and even starts to turn your mother against you, that’s something else. Acting as a sort of next-level reprise of Dio’s original attack, Kira’s saga nails not just the terror of having your home attacked, but also the hopelessness of knowing that all the barriers and guardians who’re meant to keep you safe have been defeated. Kira’s invasion sets one of JoJo’s most terrifying foes against one of its most helpless heroes, as the young Hayato is forced to fight a serial killer with no Stand or allies at all. 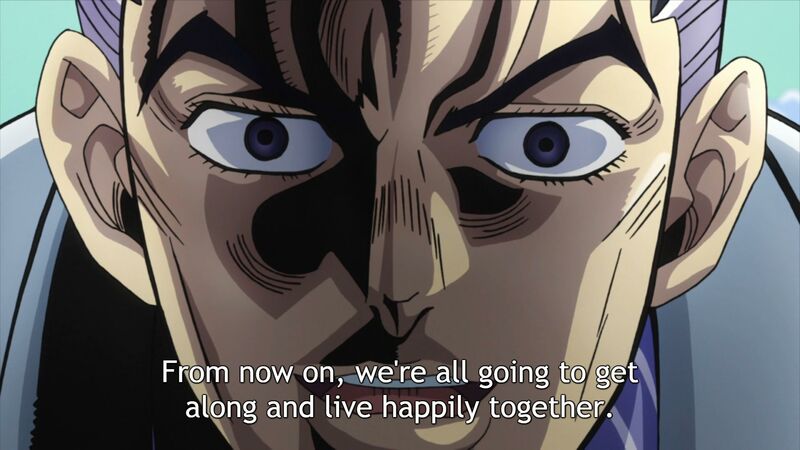 Ultimately, that arc ends on a cross between a gunslinger showdown and one more home invasion, as Kira attempts to invade yet another house in order to kill both Josuke and Hayato. Diamond is Unbreakable’s conclusion thus acts as a beautiful nested tribute to the home invasion, reveling in the narrative shell’s tactical and dramatic power. 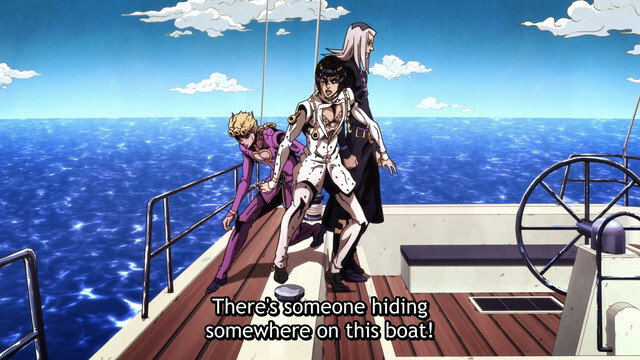 Golden Wind’s urban setting and mafia focus might not seem to lend themselves to more home invasion narratives, but this recent boat ride demonstrates that Araki is still very much in love with the format. Araki has demonstrated a profound gift for mixing genres to arrive at thrilling new combinations, and Golden Wind is showing off just how much he’s learned over the JoJo narrative. Wherever JoJo goes next, I look forward to seeing Araki interrogate more and more classic horror modes as he continues to develop his formidable storytelling strengths.